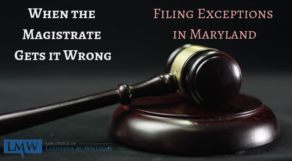 In order to deflect attention away from their own wrongdoing, many abusers will file false criminal charges in Maryland. By filing false criminal charges, the abuser hopes to minimize his or her own abusive behavior. Often, the abuser is desperate to maintain control over the victim and will use the threat of criminal prosecution to keep the victim compliant. 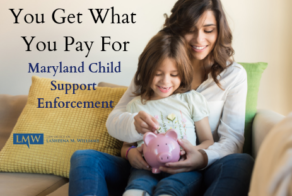 If your abuser filed false criminal charges in Maryland, the abuser is attempting to manipulate the criminal justice system, force the victim to remain in an abusive and volatile situation, and divert negative attention towards the actual victim. Most abusers are manipulative and will go to great lengths to avoid being seen as the villain. Abusers frequently file false criminal complaints and even file false petitions for protection against their victim. 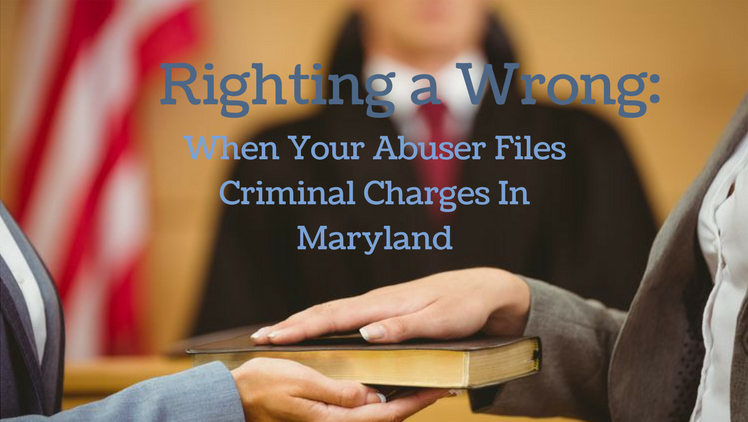 When an abuser files false criminal charges in Maryland, the abuser will lie about the victim’s behavior in order to justify the abuser’s bad behavior. 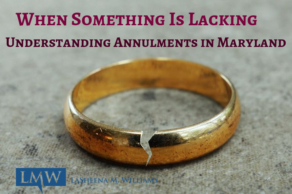 Frequently, the abuser may deny acting violently altogether or they may claim any potentially wrongful act by the abuser was in justifiable retaliation to the victim’s harsh or violent actions. 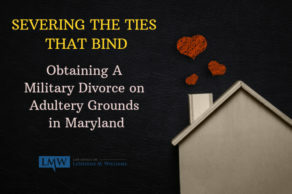 If your abuser filed criminal charges in Maryland it is important to make sure the judge understands the full history of abuse including past incidents of physical, financial, and emotional abuse, any injuries that occurred from abuse, medical records related to injuries from abuse, police reports, photographs, and witnesses. If you do not have some or any of this information, it is important to consult with an attorney to understand your available options. An experienced attorney can help you present a clear picture to the judge and show that the abuser is attempting to use the court to further bully and harass you. 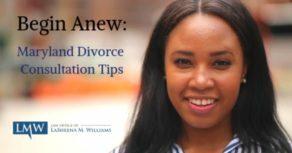 If your case involves a child custody dispute and your abuser filed false criminal charges, the abuser may be using the criminal allegations to lay the groundwork for gaining child custody in a divorce or child custody case. You should present any evidence that may also show the abuser’s intent to use the criminal case to impact ongoing an ongoing domestic dispute. An attorney can help you decide the appropriate strategy for presenting evidence that will highlight your abuser’s efforts to manipulate the justice system. At the Law Office of LaSheena M. Williams, we understand the difficulties you face when addressing domestic violence. As a domestic violence defense attorney, we can help you obtain a protective order, initiate a fault-based divorce, or fight false criminal allegations. In the sensitive matters surrounding domestic violence, the Law Office of LaSheena M. Williams is always here for you. 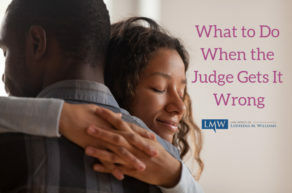 Whether your case involves a former husband, wife, boyfriend, girlfriend, or other intimate partner, our experience can help you when you need it most. Our firm passionately represents clients across Rockville, Bethesda, Gaithersburg, Silver Spring, Takoma Park, Chevy Chase, College Park, Cheverly, Greenbelt, Oxon Hill, Hyattsville, Upper Marlboro, Largo, Bowie and surrounding communities. Call us today at (301) 778-9950, or send an online request for a consultation. 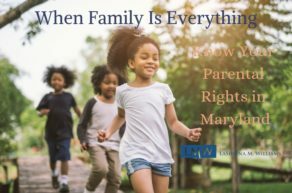 Maryland parental rights include the right to establish and maintain a relationship with your child….